In sports journalism, the term goat is often used to refer to a monumentally bad player. However, it often gets confused with the newer term G.O.A.T. – Greatest Of All Time. When I think of villains in comedy series, my first thoughts inevitably turn to Violinist of Hameln due both to the sheer breadth of villains exhibited in that show and specifically how amazing Vocal was. While he’s not quite at that level, Don Valentino is undoubtedly a capital G goat. I commented last week that this show was only really entertaining when the police and mafia were going head-to-head, as each of the skits then involved only one side. 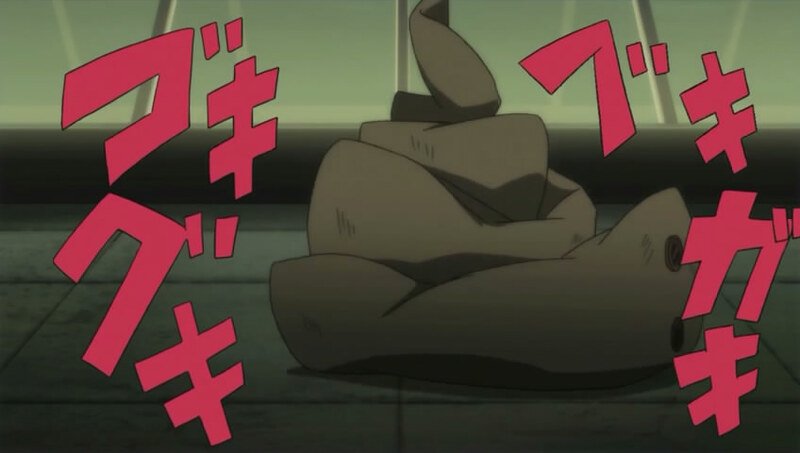 I’d amend that now, as this week’s episode was all mafia and managed to be amusing regardless. That was partially due to the material in this episode, which was just generally better and better-executed (see the 20-second multi-angle pan of Kei when he found out the Don got caught). More importantly, though, Don Valentino is simply a living, breathing highlight reel. Almost every action he takes results in an entertaining, replayable clip. The show expoits all his traits; It parlays his being a goat, his short stature, and his uptight yet soft personality into any number of comedy routines. In this case, those jokes mainly revolved around his bromantic relationship with Akiyoshi that, typically, broke down over the Don’s rampant specism. Since the art shifts and music cover a decent emotional range, it does so without ever really getting stale. That’s what good characterization does for a show. The supporting cast this episode was everyone other than the Don, to varying degrees. 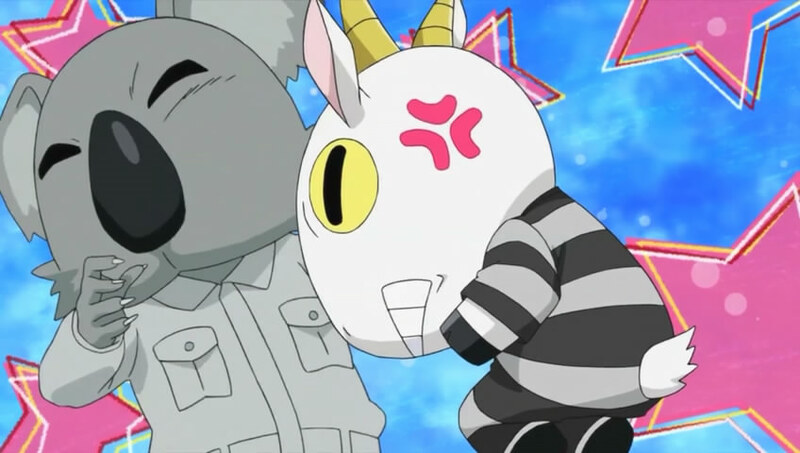 Soumei and Akiyoshi built up a little drama (and one funny gag about body-jacking), the prison guards and the koala were jerks like they needed to be, and Lorenzo was more aerobically obsessive than ever. Meanwhile, this was a very quiet episode for the main characters, who spent the entire episode learning to turn into butterflies. Valentino showing up at the end to rub in just how useless they were was classic. This entry was posted in Anime, Finished and tagged Adorable Animals Fighting, Anime, Cuticle Detective Inaba, Don Valentino dazzles the stage, First Reactions, Specism ruins friendships, Standout Character, Violinist of Hameln had the best villains by torisunanohokori. Bookmark the permalink.